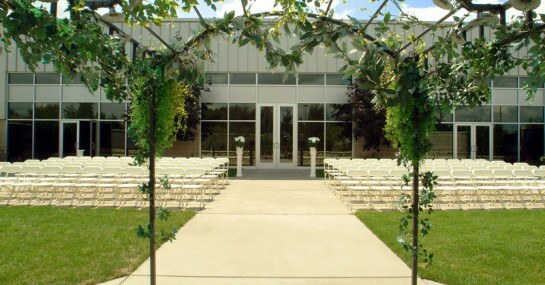 We have many locations inside and out for your ceremony. Consider our plant filled garden, the outdoor deck over looking the pond, or various options indoors. 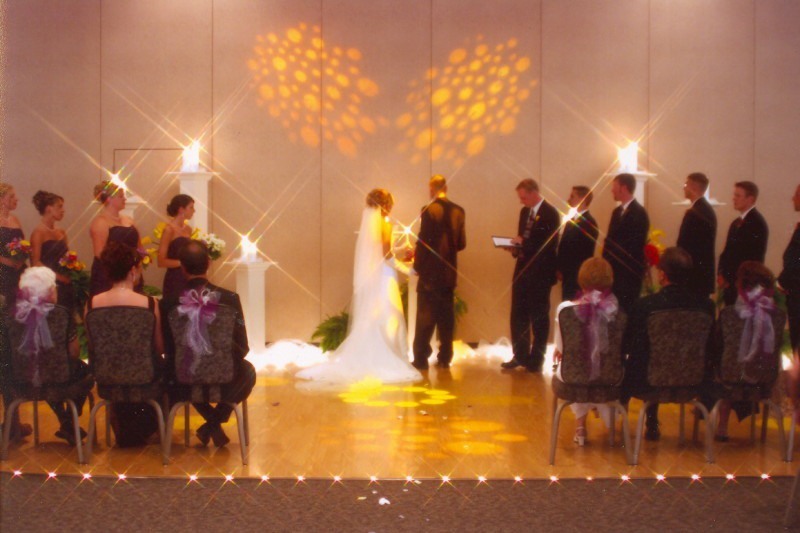 This package includes the use of the ballroom dance floor for ceremony, wireless microphones, videotape recording of ceremony, audio/visual technician, and rehearsal time (up to one hour). This package includes use of Terrace or Deck for ceremony, wireless microphones, audiotape recording of ceremony, audio technician, and rehearsal time (up to one hour). Terrace and Deck include permanent arbor. Ceremonies moved inside will be charged at full rate.